At a time when everything seems political, both Republicans and Democrats appreciate that this is not a political issue. The bill's new language, terrible as it is, passed through the House Labor and Commerce Committee on February 2. The vote in the committee was close - 11 supported the bill and 9 opposed it. Six Republicans opposed the bill while two Democrats supported it. Likewise, when the bill passed in the House yesterday, Delegates voting against passage were 13 Republicans and 11 Democrats. Better connectivity is not a partisan issue but a matter of economic development, educational opportunities, public savings, quality of life, and local control. Rural communities that have been passed over by big corporate providers understand those reasons but AT&T doesn't see it that way. To big the incumbent telephone company that wants to maintain its monopoly with slow DSL service in rural Virginia, it's about maintaining a monopoly. Once the word gets out that municipal networks offer the fast affordable, reliable connectivity that local communities need, it's only a matter of time before they lose their grip on that monopoly. 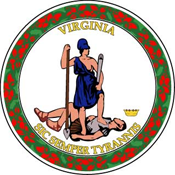 The best way to protect their position is through the Virginia General Assembly. They've been at it for years; it works in about 20 states. When Byron brought the new language to the House floor, she presented a speech that attacked municipal networks and used the same talking points we’ve heard over and over again. In fact, her speech was almost good enough to have been written by an AT&T lobbyist. In the video of her presentation of the revised bill to the body (available below), she distorts the facts and relies on the same old examples from a very short list of municipal networks that have had financial problems, or are being privatized. Byron’s speech takes on the patronizing tone we so often hear from the big corporate providers as they purport to “protect the tax payers” while their true motives are to protect their monopolies. Watching the video is a good lesson in preparedness because it's straight out of the anti-muni playbook. "Once again, we see a state legislature prioritizing the anti-competitive instincts of a few telephone companies over the need for more investment and the desire for more choices in rural communities across their state. Virginia's communities need more investment and more choices from ISPs, not new barriers crafted by powerful lobbyists in Richmond."